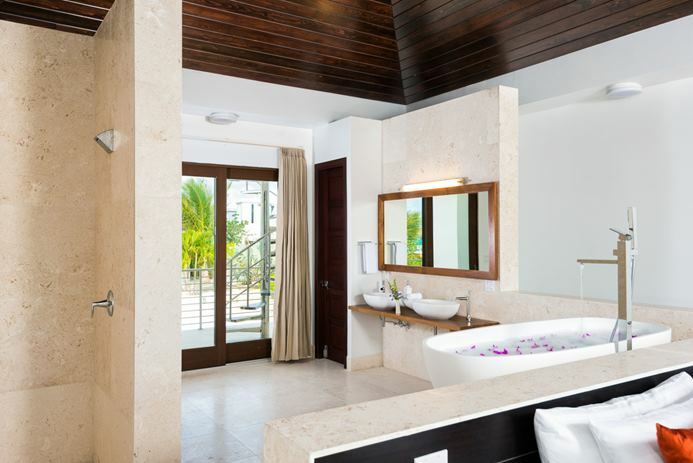 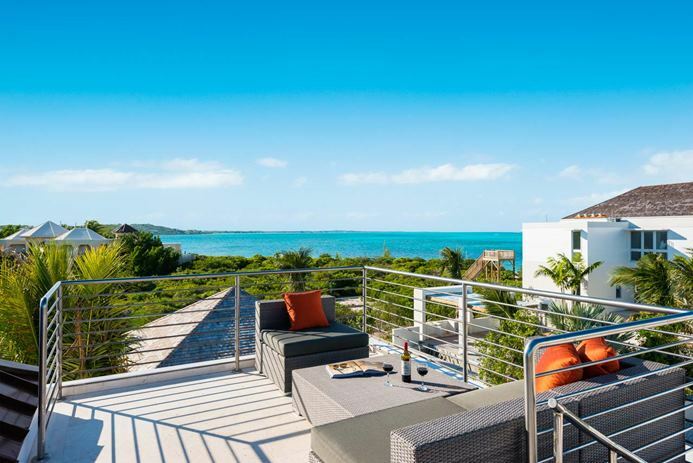 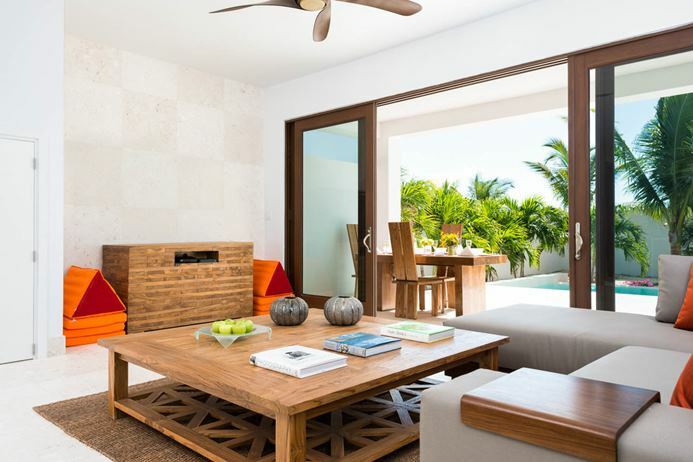 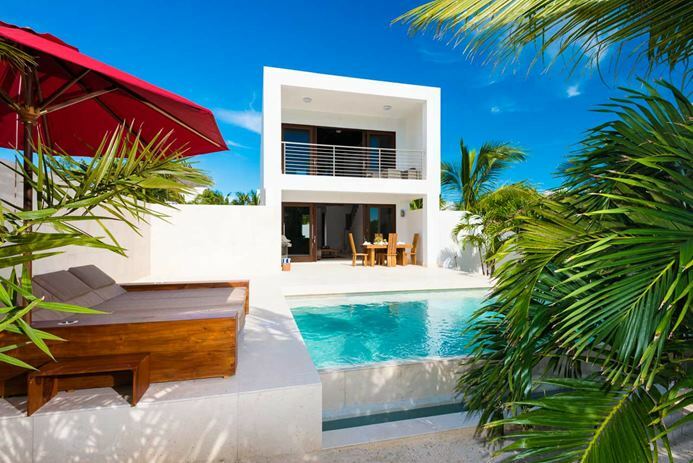 This new 3-level beachfront villa is exquisitely designed and furnished. 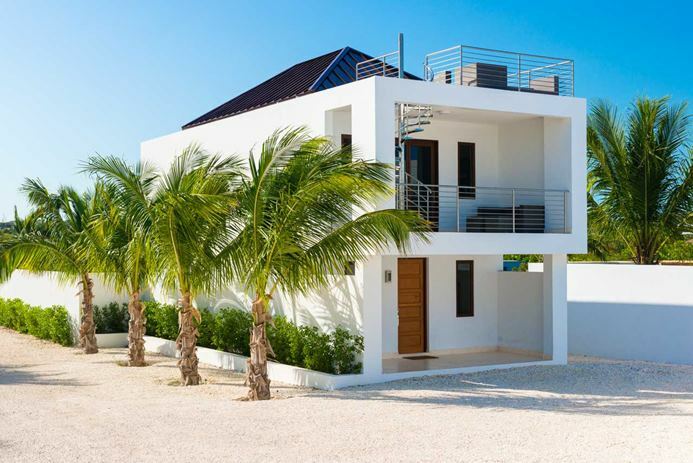 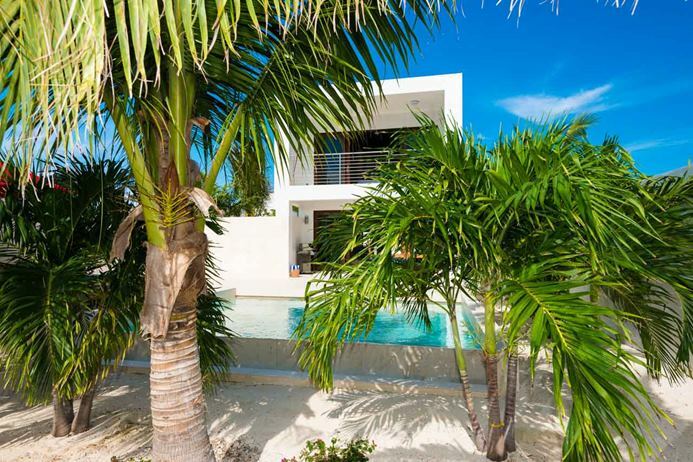 Villa Sugar Kube, also known as IE SUG, is a modern 1-bedroom villa located in Grace Bay/Beachside within steps of Grace Bay Beach and a short walk from restaurants, a casino, marina, shops, and water sport operations. 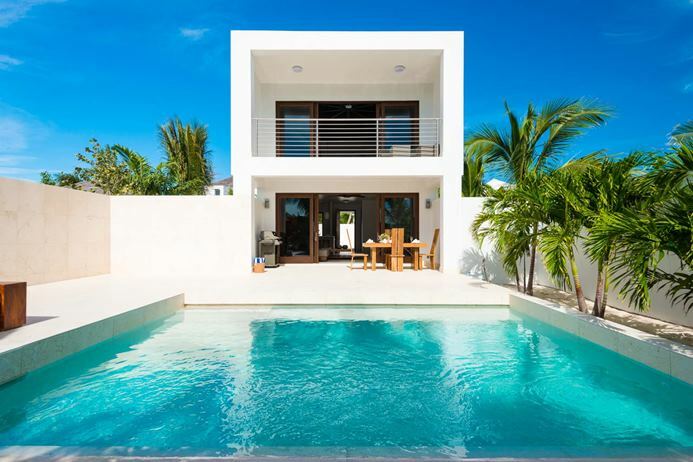 Spacious and stylish, Villa IE SUG features a sleek kitchen with European cabinetry, a generously oversized tub, and exotic furnishings from around the world. 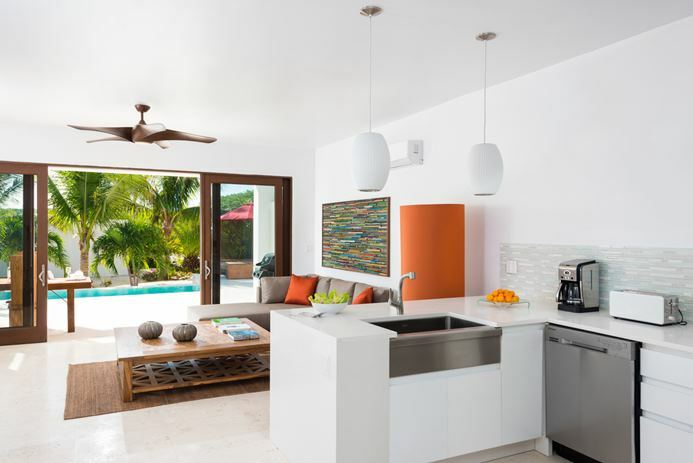 A breakfast bar with stools separates the kitchen from the living area, which has glass sliding doors that open directly to the pool deck. 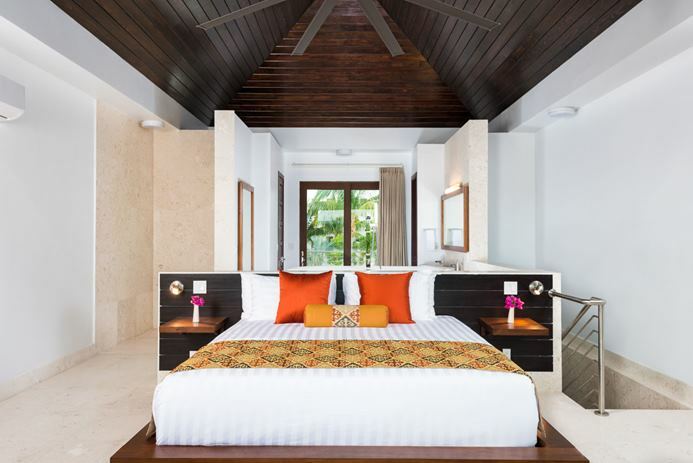 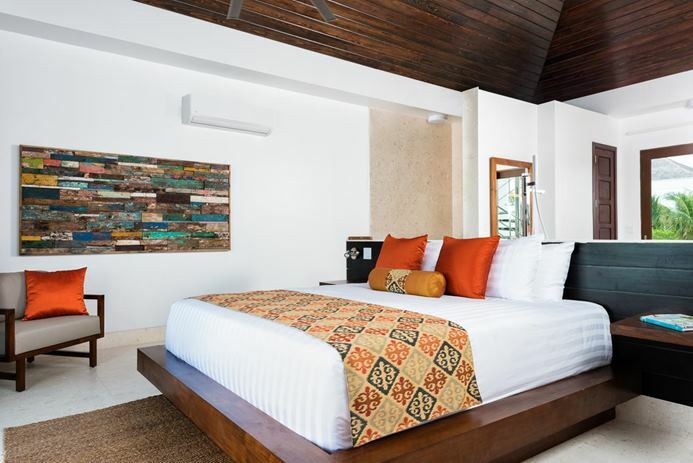 The bedroom is located on the second floor and offers a king-size bed, ensuite bathroom with soaking tub and shower, and a balcony with a stunning view of the pool, beach, and ocean beyond. 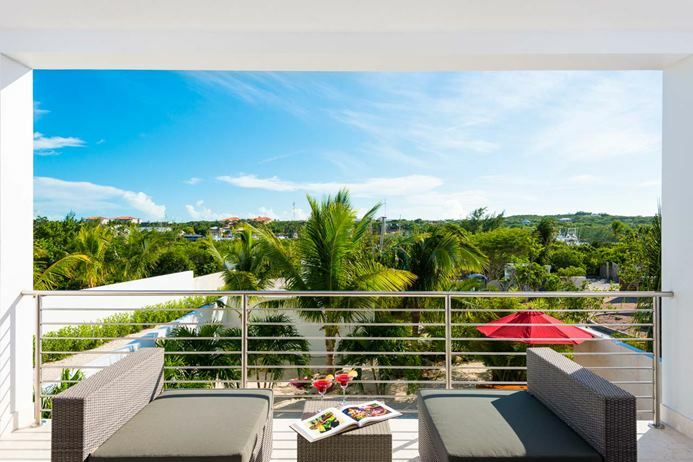 A spiral metal staircase ascends from the balcony to a furnished rooftop deck (ideal for watching sunsets). 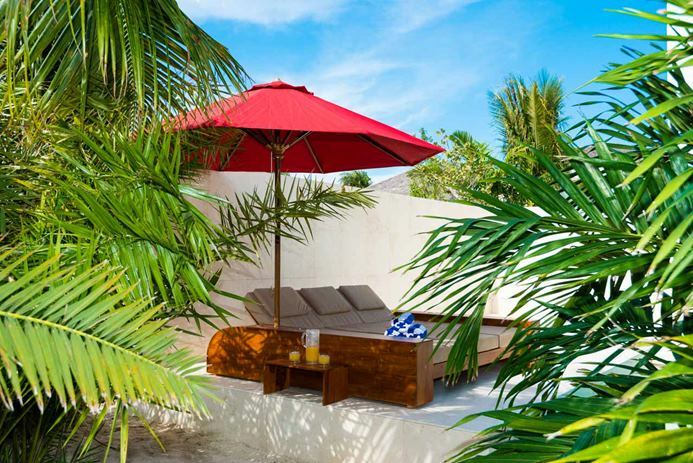 A covered area of the deck houses a small dining table with seating for 4 guests. 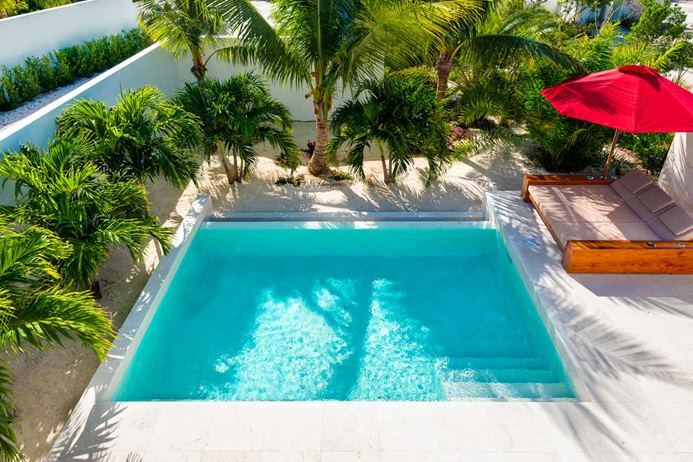 A deck with loungers and an umbrella surrounds the small pool, which is partially framed by tropical gardens. 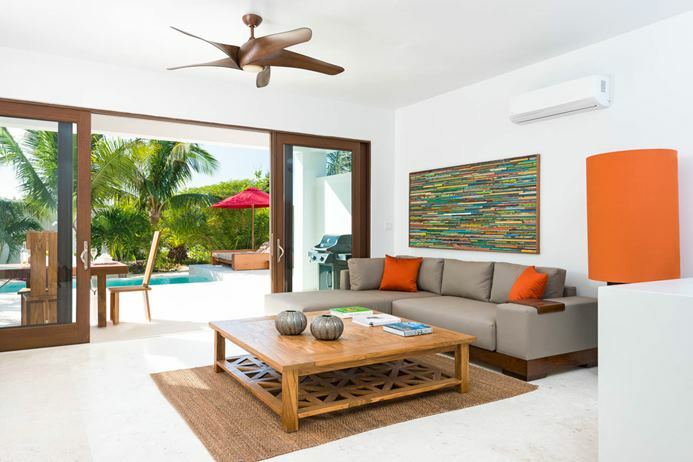 This property is located near Smith’s Reef, which offers a well-known snorkeling area. 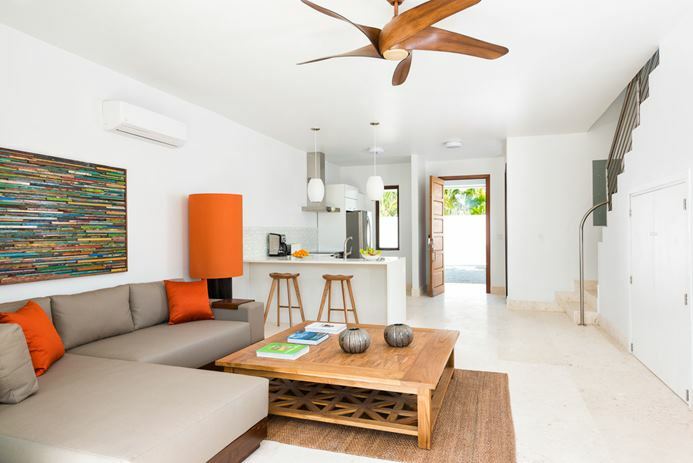 This villa also comes with a barbecue, Bose sound system, cable TV, snorkeling gear, WiFi, and air-conditioning (charges apply after weekly allowance of $150). 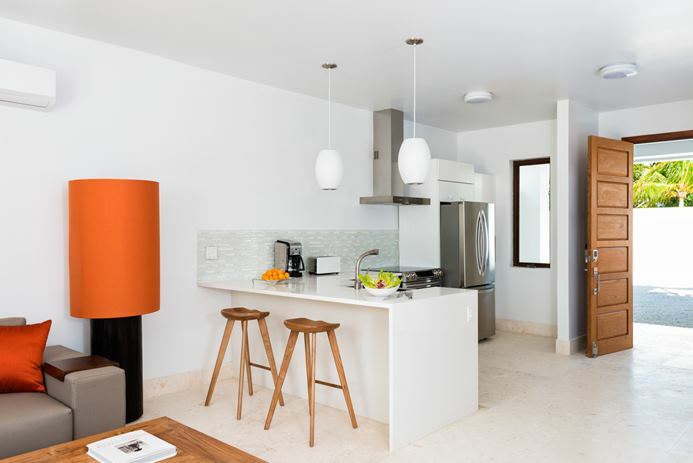 Villa Sugar Kube, or IE SUG, comes with mid-week house cleaning services.